﻿ Best Price on Red Frog Beach Island Resort in Bastimentos + Reviews! Offering an extensive lush garden, a swimming pool and unique architecture upon a hillside, the Red Frog Beach Island Resort is located a walk distance from the beach. The suites, villas and rooms offer air conditioning, flat-screen cable TV and a private bathroom with free toiletries and hairdryer. The villas also feature a living area, a kitchen and coffee maker. All include Continental breakfast served on the beach. Punta Lavas restaurant, placed on the beach, offers international food as well as Castaway restaurant is right beside our Marina. Activities such as zip lining, massages, snorkeling and kayaking can be arranged as well at the 24-hour front desk. Daily maid services are also available. 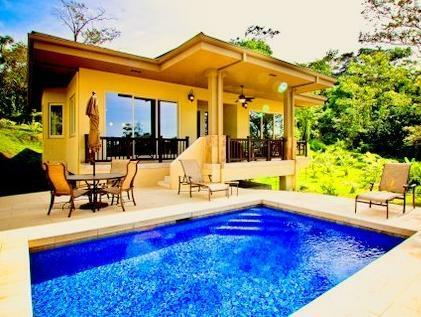 This complex is 10 minutes’ boat trip from Bocas Town and Bocas del Toro International Airport. Please contact this property 48 hours in advance to arrange check-in and airport shuttle services using the details provided in your booking confirmation. Please note that check-in is available 24/7. Please inform Red Frog Beach Island Resort of your expected arrival time in advance. You can use the Special Requests box when booking, or contact the property directly using the contact details in your confirmation. The staffs were friendly, the rooms were clean and luxurious and the natural surroundings were awesome. The price was, however, on the expensive side for the value.